It’s time for fantastical Bingo with a fun fairy tale twist! Play Bingo Story, the best new Bingo game of 2017! 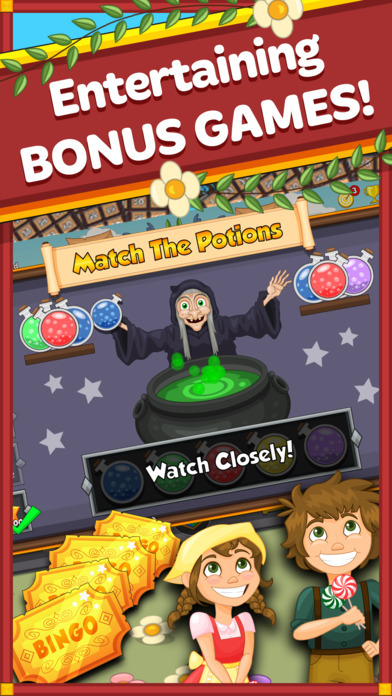 Bingo Story comes with a fun story mode as well as an exciting online mode against friends. 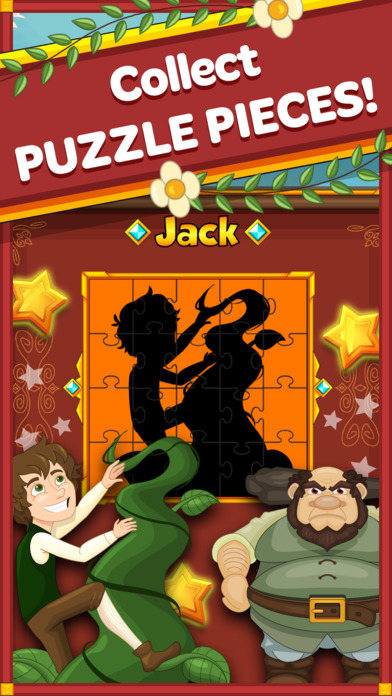 BINGO your way through for a chance to collect board pieces and complete puzzles for your favorite fairy tale characters. Which fairy tale characters will you get next!?! 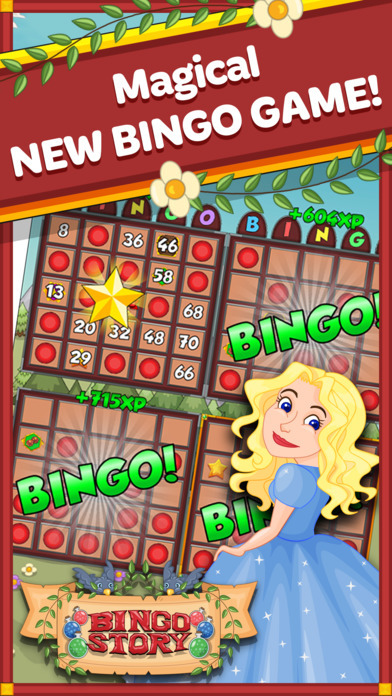 If you love fun live Vegas-style Bingo Tournaments, Bonus Mini Games and Multi Card Board Games, then download Bingo Story today! — 100% FREE to Play Bingo! — Easy to learn and play! Watch the numbers pop on the screen to get Bingo. — Progress through 100 levels with rewards after each Bingo! — Play in tournaments with players around the world. — Collect treasure chests and open them for FREE tickets, power ups and MORE! — Use a variety of power ups to help you play and win more prizes! — Play up to 4 cards in fast-paced tournament game play. — Collect and Complete 30 unique puzzles for rewards. — Earn Bingo bonuses and play fun minigames to collect more. — Play the Daily Spin to claim a free prize. — Hourly and Daily FREE Tickets. — Log in with Facebook or play as guest. Bingo Story is a fun family game for all ages! Play the best new Bingo game of 2017 with your kids and friends today. Blitz the competition and bash your family and friends in friendly bingo competiton. 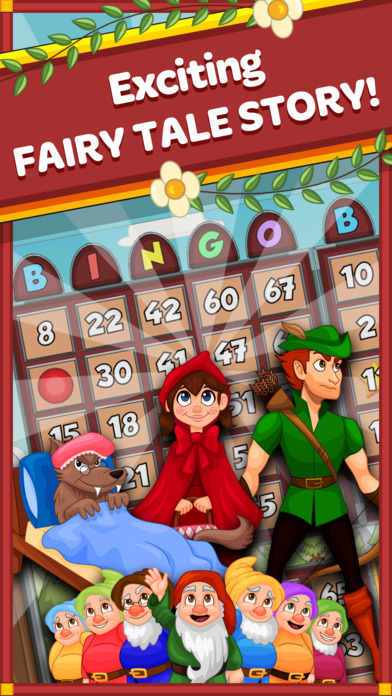 Download Bingo Story today and earn prizes towards collecting your favorite fairytale characters! Success within this free Bingo game does not imply future success with real money gambling. It does not offer real money gambling or any opportunities to win real money or prizes.